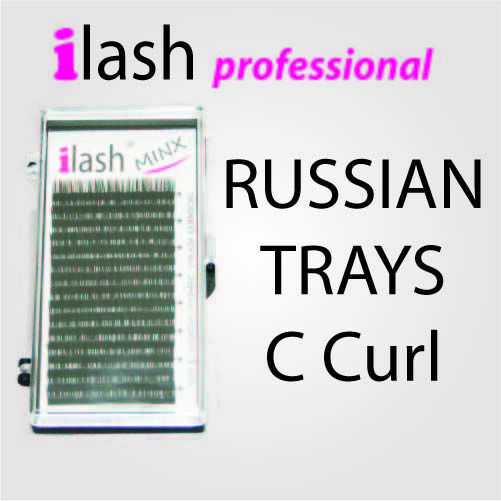 iLash Minx Extensions in C curl 0.05mm , 0.07mm & 0.10mm suitable for Russian lashes. ilash Minx lashes in various lengths and suitable for the application of Russian, Volume or Tahitian extensions. Super soft weightless lashes. Each tray contains 16 rows.